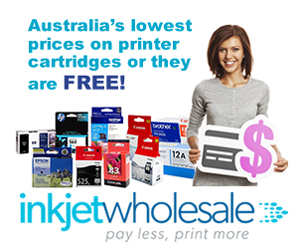 Inkjet Wholesale News aims to provide updates on the latest significant occurrences in the field of printing. Whether it’s the launch of a new technology or volatility of market prices, we’ll be here to give you the lowdown on what happened, when it happened, and what it means! If you talk to any industry insider or expert, he’ll tell you that thermal inkjet printing technology hasn’t progressed with the same speed that other printing industry technologies have progressed with. One of the reasons for the slow rate of development is simply the fact that the thermal inkjet printing industry is a niche industry, especially when it is compared to wide format or office printing. Even though thermal inkjet printing is used in high profile industries like pharmaceuticals and food, it still remains a small part of those industries. The second reason behind the slow rate of growth of the thermal inkjet printing is the fact that it often involves materials that prove to be challenging to print on. For instance, it can be quite difficult to use thermal inkjet printing on materials like coated cartons, foils, films, and plastics. These materials tend to have a glossy finish which prevents the ink from taking a hold onto the surface. However, carrying the baton forward for the thermal inkjet printing industry is Domino Printing Sciences. Apart from other innovations in its history, Domino Printing Sciences has recently launched a new type of ink for thermal inkjet printers that will further their capabilities particularly when the aforementioned materials are involved. The new type of ink, which Domino Printing Sciences has dubbed BK118, makes it possible for the thermal inkjet printing process to be implemented even on the kind of glossy surfaces described above. According to Domino Printing Sciences’ TIJ product manager, Phil Parkins, not only can the BK118 code onto glossy surfaces but also do so in a way that the final print is durable and high quality from the perspective of visibility. Specifically, Parkins used terms like “great character sharpness” and “high contrast” to describe the capabilities of BK118 based thermal inkjet printing. BK118 is designed to be used in Domino Printing Sciences’ G – Series Thermal Inkjet Printers. The G – Series Thermal Inkjet Printers from Domino Printing Sciences possess a multi – head feature which makes them even more efficient when combined with the new type of ink. For instance, the combination of BK118 and the multi – head capability of the G – Series Thermal Inkjet Printers means that non porous primary packaging can be coded or printed upon while simultaneously handling glossy outer case packaging. The reason why Domino Printing Sciences developed this new type of ink, according to Parkins, is that the organisation tries to watch the industry they cater to so that they can resolve the kind of challenges that their customers are facing on a day to day basis. He went onto specify that they’re always monitoring the demands of the industries they cater to. It is also worth noting that Domino Printing Sciences is becoming a major player in Europe especially since it has now achieved seven years as a member of the European Printing Inks Association. This means that Domino now has the capability to influence not only its customers on their compliance related problems but also the rules and regulations that Europe will adopt regarding inks. Interestingly, Domino Printing Sciences is on the verge of being acquired by Brother. Brother’s proposed acquisition of Domino recently achieved approval from all relevant authorities. The last relevant authority to approve was the European Commission recently which approved the deal involving purchase of Domino shares at 915p per unit. QuickLabel Systems is known for achieving firsts in the label printing industry. It is widely known for being the company that made in-house colour label printing possible in the industry. The company has now achieved yet another first for the industry by devising and launching the industry’s first series of pigment ink based digital colour label printers. The family of digital colour label printers has been dubbed Kiaro! D by QuickLabel Systems, wherein the D simply stands for ‘Durable’. This new series of digital colour label printers uses ink which is based on pigments and has the capability to print ultra – durable labels. The pigment based ink formulation is new for the industry because, till now, the industry has been relying on ink formulations based on dyes. The Kiaro! D series of digital colour label printers consists of three different models. This means that the Kiaro! D digital colour label printers can be used for virtually any labelling application. This even includes those applications where harsh environments such as intense sunlight, tough chemicals, and scuffing can be expected. Labels printed with Kiaro! D digital colour label printers will be able to withstand all these environmental conditions while maintaining their colour strength and legibility. The three models that are part of the Kiaro! D family include the titular Kiaro! D, the Kiaro! 200D and the Kiaro! 50D. The titular digital colour label printer models can print labels measuring anything between 19mm and 105mm in width and upwards of 395mm in length. The Kiaro! 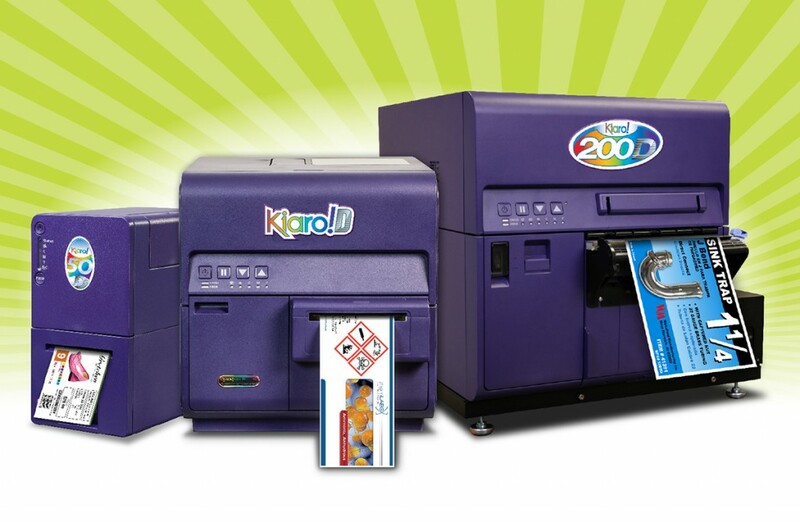 200D is a wide format label printer model that can handle labels spanning up to 212mm while the Kiaro! 50D is small and designed to be used in portable situations. The titular Kiaro! D digital colour label printer model is ideal for a wide array of applications involving labels such as package labels, case labels, carton labels, and bottle labels. The label printer can even handle images such as barcodes, colour codes, logos and pictures that need to be put on labels. The print quality of the Kiaro! D digital colour label printer is also good as they can print at up to 1200 dpi. The new series of digital colour label printers use a “cutting edge pigment ink formulation”, according to Eric Pizzuti, the General Manager and Vice President of QuickLabel Systems. Pizzuti also specified that the new ink formulation and digital colour label printers comply with the extremely stringent and tough to crack GHS hazard warning labelling regulations. The digital colour label printers in the Kiaro! D series are designed explicitly to handle digital printing which means that they can be used to print images straight from a computer onto blank labels. The Kiaro! D label printers can handle a wide variety of digital sources such as graphic designing software programs, barcode labelling software programs, and a number of other enterprise systems.